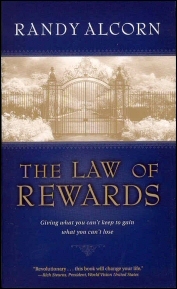 I Just finished the book, “The Law of Rewards” by Randy Alcorn. I’ve been a quest over the past years to read all the major books, and authors out there that speak about tithing in a published book. I read books that are pro-tithing, and against tithing. I’ve learned much about finances and stewardship overall, because most of the books i’ve read cover the whole gamut of stewardship, and in part discuss tithing. The main subject of Randy Alcorn’s book is not about tithing; although he does discuss it. It is about giving and the benefits of giving. If i could sum up the book in a sentence is that Randy Alcorn is not telling us to give because of what we get, but not to forget that God has wired us to desire rewards. His whole point is that our rewards should be stored in heaven, and that our father is pleased to bless us with these rewards. There is nothing wrong with working hard on earth to be rich for eternity. If working hard on earth gives us riches in both heaven and earth, then so be it. Using rewards as a motivating factor is not a sin. As long as your focus is eternal rewards, there is nothing wrong with having good money on earth either. But with all the health wealth gospel preaching out there, you can’t help but notice that there’s a lot of preaching going on about earthly wealth, and nothing about eternal wealth. Wanting more on earth should never be part of the gospel message. The Law of Rewards does point out that rewards is not the only motivation for our good works, but it is “1” motivation of many. I think most believers think that our motivation should solely be either: “because God said so”, or “because i love God”. I guess you could say, that those two reasons are the only ones we need anyways, but God knows rewards motivate us. God loves rewards also, and because we are made into his image, we are driven by rewards ourselves. One quote from the law of rewards is that, “God appeals to our human nature but never to our sin nature”. God created a desire in us for pleasure, possessions and power, and he appeals to our desire with promises of gold, power over cities, and eternal happiness. Although, i disagree with Alcorn’s pro-tithing stance, The Law of Rewards has an interesting view on stewardship and giving. if you want to understand about motivations behind our giving, I would recommend it for reading. 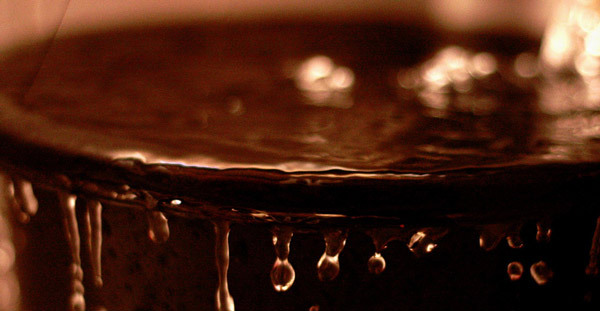 If the only reason everyone gave was because of their eternal rewards and not because of their love for God, we would still see a dramatic wave of generosity sweep across the Church.